‘The Wooden Kiwi’, based in Devon, offers a wide range of interior and exterior carpentry services, in addition to building in miniature. “When I’m designing a playhouse, I will start with my Superdec colour swatches,” says Sara-Jane. “Whether I’m adding external trims and accessories or sourcing fabrics for inside, they’re often the only colour references I need. 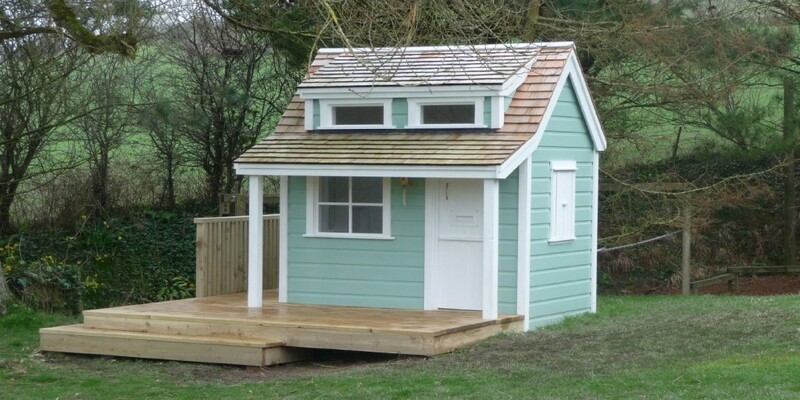 When a client orders a premium playhouse from ‘The Wooden Kiwi’, every detail can be incorporated to make it as realistic as possible, from running water and electric lighting, to thermal insulation and even cedar shingles and lead flashings on the roof. As with any full sized newly built property designed and built to order, a great deal of attention is always paid to the décor. Following garden design trends, Sara-Jane finds Sadolin’s Cloverleaf one of the most popular colours with her clients and it complements the popular soft greys, greens and blues used in many contemporary interior design schemes. The subtle combination of Monaco and Burlesque is another popular choice that works well with luxury soft furnishing brands.